IGI Engineers use a variety of technologies including laser lithography, laser interference lithography, electron beam lithography, DUV Steppers, proximity printing, projection, and reflow. When appropriate, we will also use micro machining, diamond turning, grooving, jetting and custom processes. IGI can use direct imaging for microstructures to save time on prototypes. IGI Engineers can help discern the correct technology for your application, and use it to optimize technical choices for your specific application. 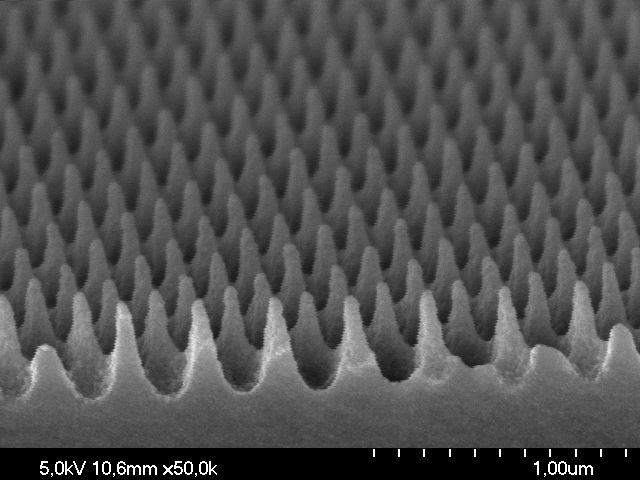 Laser lithography and interference are used to build structures from multiple layers of photoresist and coatings. Our processes have several advantages over some traditional methods of building 3D micro structures. The traditional diamond scribe method of producing 3D structures limits accuracy and precision due to turning, starting, and stopping constraints of that process. Our in-house facilities and plating techniques for nickel shim production eliminate these constraints. Pillar construction for lens arrays has proven unreliable for producing random contours and controlling curves, as well as presenting quality limitations. Our engineers can design or provide random countours and address curve control, working to formulaic specifications, as required. Our production process of photo-sculpting eliminates the quality limitations of pillar construction. 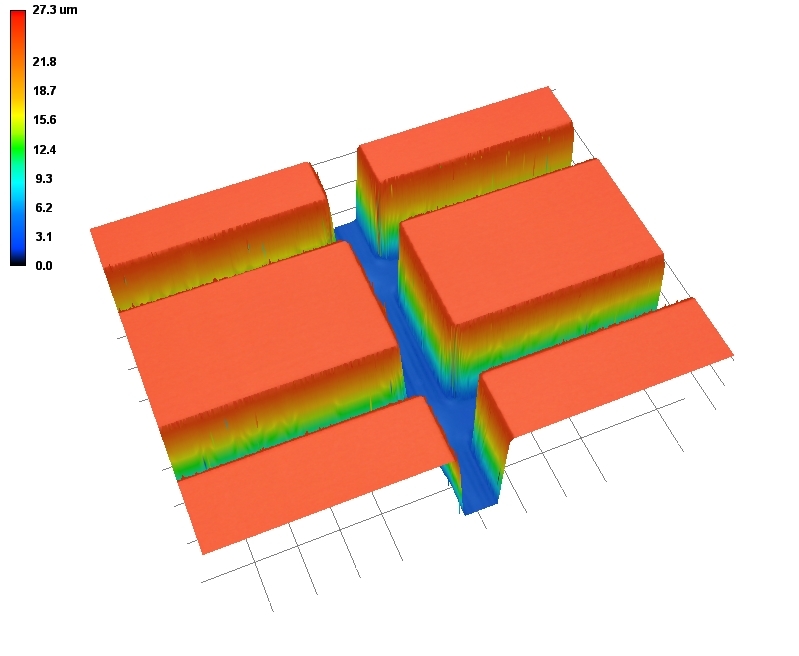 Many 3D micro imagers are limited to a depth of 20 microns. Our photo-sculpting techniques and facilities enable us to produce contour depths of up to 100 microns deep. Measurement technologies include laser confocal microscope and scanning electron microscope (SEM). Measurements can be used for QA on products we produce, or to measure and classify samples prior to reproduction. Measurement services can also be provided. NanoSculpt technologies can be used together to create 3D micro-structures and sculpted patterns.